Linux Mint 14 was released in November of last year. I haven’t done a review of a Linux Mint edition since the KDE version of Linux Mint 12, which was a year ago, so I felt one was overdue. This is the 32 bit version, using the Cinnamon desktop. 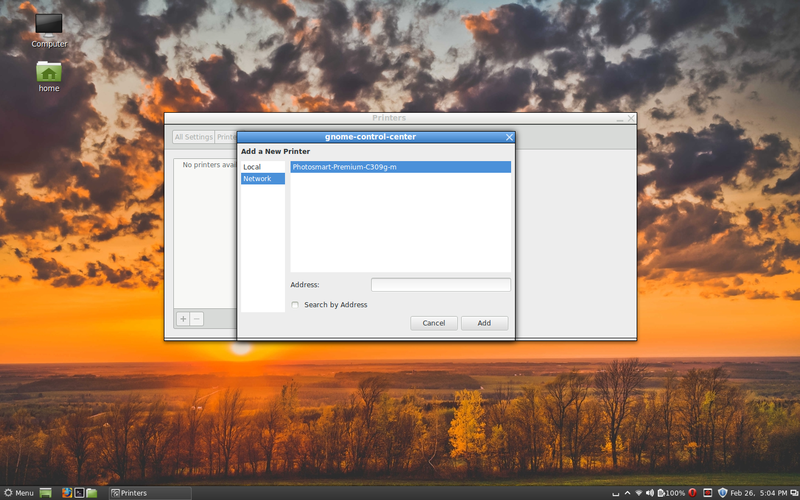 You can alternatively choose the MATE desktop environment edition, which offers a look and feel closely resembling older Mint editions such as 10 or 11. My now aging laptop is a 2009 HP Pavillion with 4 gigabytes of RAM and a 320 GB hard drive. It has an ATI Mobility Radeon 3200 card in it, which is so outdated that I can’t use the proprietary Catalyst graphics installer. As usual for Linux Mint, installation was trouble free and took less than half an hour. These days, the size of the default .iso file is more than a CD can hold, so I strongly recommend that if your computer is able to boot from a USB drive, you should use one and “burn” the data for Linux Mint 14 onto it. A 2 GB or larger stick will work fine, and I find UNetbootin to work very well if you’re using Windows to download and install from. Linux Mint starts you with 2 workspaces (you can access the second one by moving your cursor to the upper left corner of the screen to bring up both of them). The desktop is Cinnamon 1.6, with the kernel being 3.5.0.17. The Software Manager is included (and so is Synaptic, the graphical front end to apt-get), to easily find and install programs or games. Linux Mint now includes Nemo, a drop-in replacement for the Nautilus file manager used in GNOME, which was created because the team at Linux Mint didn’t like the changes to Nautilus that were introduced in version 3.6. Nemo is now part and parcel of the Cinnamon desktop. With Cinnamon, in the lower right corner of the taskbar, there is a section for notifications; the Settings menu for Panel editing, settings, and troubleshooting; Network Settings, your volume control (which includes quick launches for Banshee or VLC); the update notifier, the Date and Time settings; and the list of open windows. For more news and information about both Nemo and Cinnamon, you should check out the Cinnamon website. There are 18 wallpapers to choose from, so if you get tired of the default, you don’t have to look too far to change it. This is a welcome change from a couple of years ago, where the main release only had a handful of wallpapers included by default. 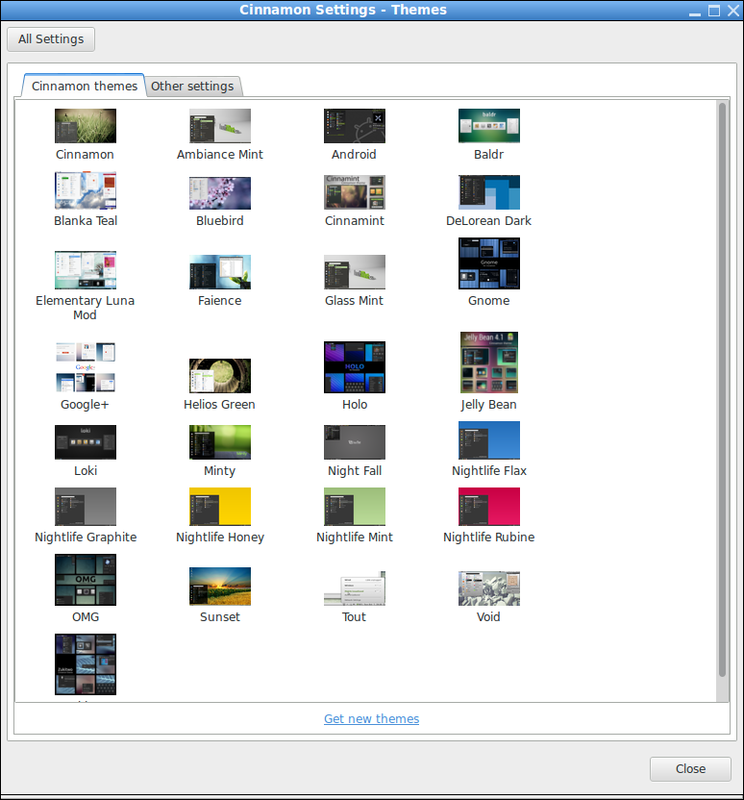 You also get a very large assortment of themes for Cinnamon and a smaller choice of window themes. Accessories: the usual things such as an archive manager, calculator, character map, screenshot application, etc. 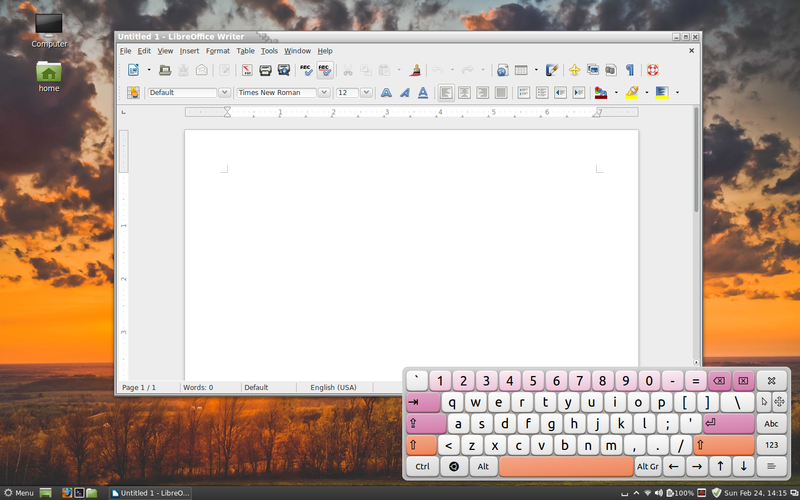 Office: LibreOffice Base, Calc, Draw, Impress, Writer. The document viewer can be run from here as well. Sound and Video: Banshee, Brasero, Gnome Mplayer, Totem movie player, a sound recorder, VLC. In addition, I installed “Onboard”, since several keys on my laptop’s keyboard no longer respond when pressed. If you install Netflix separately, via the PPA created for Ubuntu, it gets installed in the Sound and Video section of the menu. As usual for Linux Mint, there are no games installed by default. This can quickly be rectified using the Software Manager. Linux Mint detected my printer easily, as soon as I clicked “add printer” on the Print wizard application. Unlike some distributions, the correct printer was identified with no need to look through a long list of similar HP printers. Since Linux Mint is based upon Ubuntu (this edition is equivalent to Ubuntu 12.10), all of the games found in the Debian and Ubuntu repositories are here. Getdeb and Playdeb repositories are also available, although in the past they haven’t always been online. Nearly all the games that I have discussed in previous articles can be installed. 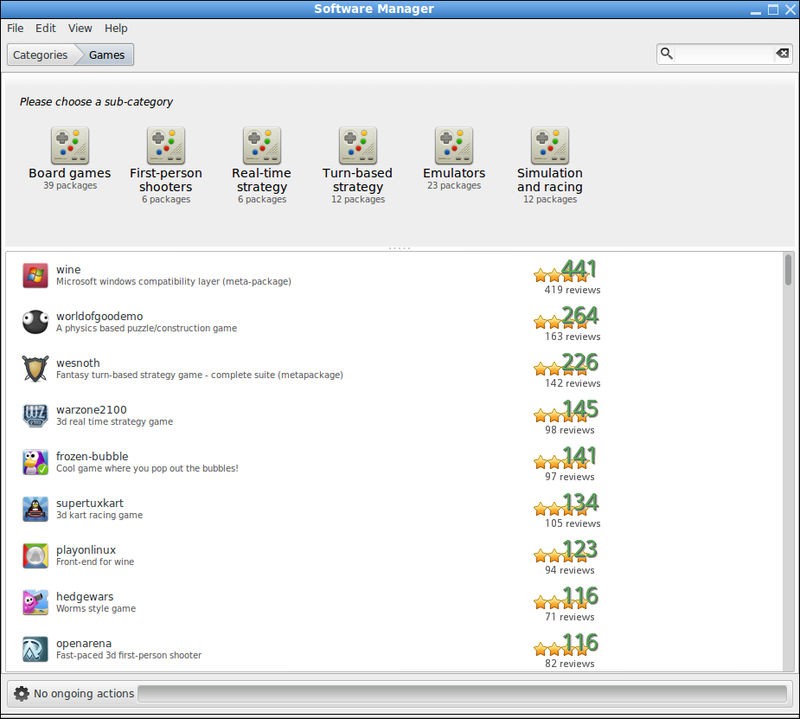 The Software Manager shows over 1400 packages available. The Linux client for Steam can be installed just as it can on Ubuntu, but I need a better graphics card in order to play the one game I own which has been ported over so far (Crusader Kings 2). Firefox is pre-populated with links to the main Linux Mint sources of help and information – the main page, their Community site, the forums, and the official blog (for news on the latest from Linux Mint). Also, the XChat IRC client will open into 2 Mint chat channels by default…general chat and help. The Acessories section of the main menu includes a Help entry, which when clicked will open up a link to the Documentation web page, featuring User Guides in PDF form for many languages. Because it’s using a Ubuntu base, you can add extra “PPA” sources if you so desire. such as the Netflix specific Firefox build, or getting the most up to date versions of certain other applications that have their own Personal Package Archive available. The repositories have over thirty thousand programs and games available for installation. If you use Steam for gaming, their Linux client installs just as easily as it does on Ubuntu (of course). Mint installs the “hplip” printer libraries by default, and it found my printer quickly with no need to pick the right model from a list. I haven’t really found anything I dislike in this particular edition of Linux Mint. Linux Mint remains my recommended distribution for most people. Although I prefer KDE, the Cinnamon desktop provided as the default works well and has more customization than the GNOME Shell found in Fedora, without overdoing it.The major issues people have with the Ubuntu Linux distribution center on privacy issues and/or the use of Unity as the default desktop. By offering either Cinnamon or MATE as a default, Linux Mint gives users a choice that avoids all the controversy that Ubuntu has become known for over the last year. Based on ease of use and ability to run the programs I use, I will have no qualms about installing Linux Mint in place of MS Windows as my primary operating system for the next laptop I purchase (which will be this fall, most likely). Linux Mint has all the best features of Ubuntu, but has consistently been focused on listening to their users. All of the new pieces (Cinnamon, MATE, Nemo) have been developed or adopted because Clem Lefebvre and the rest of the Mint developers put the users’ needs first. 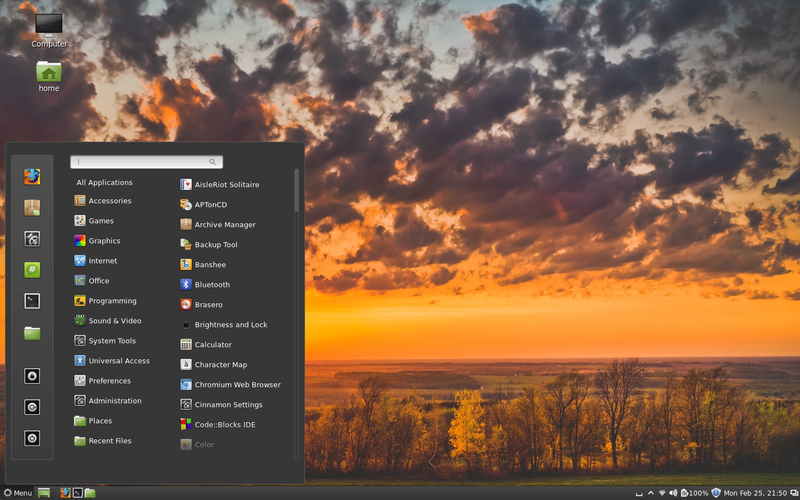 In fact, while the Unity desktop has only been adopted by a few Linux distributions besides Ubuntu (all of which are Ubuntu-based), Cinnamon and MATE have spread to over a dozen distros between them, quite a few of which aren’t related to Ubuntu at all. This is a testament to their popularity. If you prefer to use Debian as your system base instead of Ubuntu, I suggest you check out Linux Mint Debian Edition. There will be a new release very soon now. KDE is still the “heavier” DE but really efficient with this newer version of Mint (around 250MB used while idle). Unfortunately for low specs computers LXDE (120-130MB) is no longer an option since Mint decided to focus on Cinnamon/Mate and KDE + Debian edition. Now with 4GB RAM for most computers, Unity and Gnome3 being bloated, plus the nice Calligra Suite, KDE should really be considered more often. Don’t know what heavier is my Cinnamon 14 bootup desktop idle is about 700mb. Where Mint KDE 4.10 comes in at 470mb. Both same conky and gmail checker,weather startups. Plus Windows and Apps are snappier than on Cinnamon. So Don’t get the “Heavier” or “Bloated” statements that many gnome users seem to make. Except like them when I used gnome many times parroted what other gnome users where saying without me actually trying until recently. done at least one duel boot so far with a new Linux user…without issue.